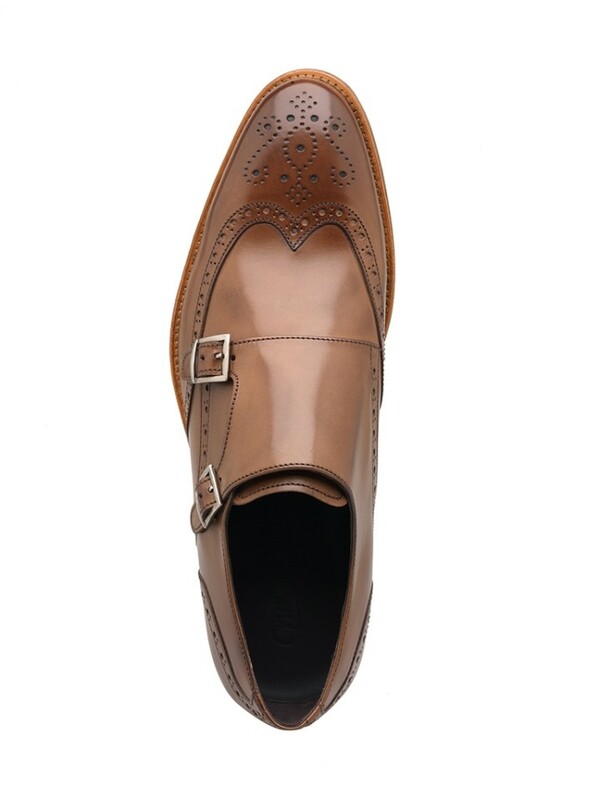 The perfect fuse between the classic monk and a heritage brogue shoe, featuring heritage wing-tip punched broguing throughout. 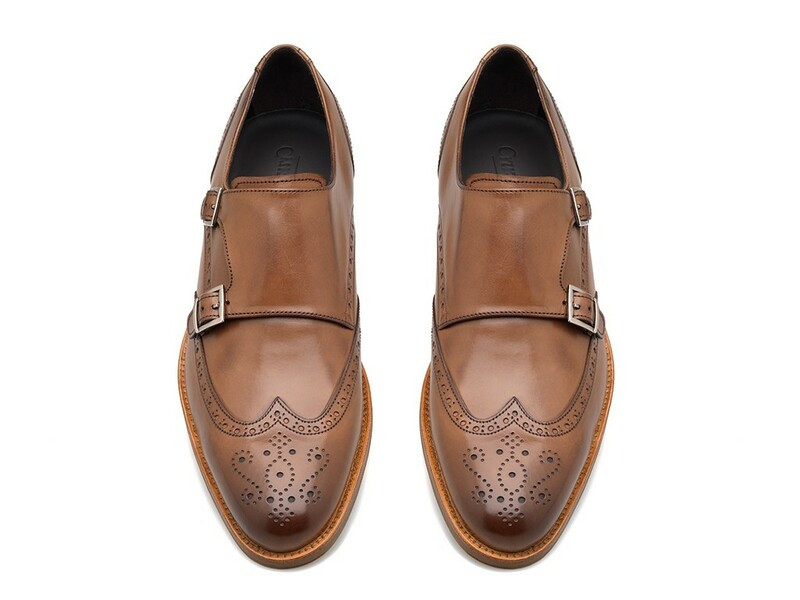 These double monks have been handcrafted from specially selected tan calf leather with the traditional. Exquisitely finished with a sturdy rubber sole to give the shoe an edge of modernism.